My role as a Local-YEP'er was as the WASH Advisor for SNV in providing advisory services - Demonstrating and Up-scaling of an Innovative Sanitation Value Chain for the (Peri)-Urban Low Income Areas project. Undertake preparatory studies; including a market survey to determine consumer preferences, technology options, household segmentation, etc., as well as an end-user survey among residents of Low Income Areas (LIAs) on willingness to borrow money and ability to pay it back. Capacity building support to private sector actors, entrepreneurs and youth groups involved in the collection and transport of human waste (including business planning, entrepreneurship and financial aspects). 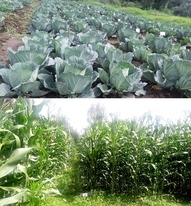 Spearhead a market research into willingness of farmers to use compost and urine as bio-fertilizer, potential crops and potential users of the products, relating it to good practice in other African countries. Contribute to formation of a sanitation value chain expert group. 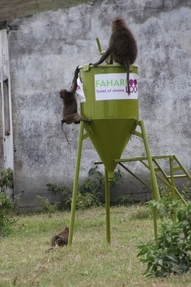 Documentation of project approach and outcomes for dissemination and up-scaling to other towns and cities in Kenya. Education: I have a background in Sociology and Philosophy (BA. Hons) Kenya, in addition I am currently pursuing Applied Philosophy and Ethics (MA). I have experience in implementing Water, Sanitation and Hygiene programme with specific tasks to contribute to program planning, implementation and evaluation of program/project activities as well as supporting analytical work.